The British VAT system is amongst the most complicated in the world. The tax schedule that must be understood by every business owner is quite oblique, with different products attracting different rates – and many attracting no tax at all. Currently, the standard rate of VAT is 20%. There are two important elements of the VAT schedule with which all business owners must be familiar. These are the rules regarding compulsory registration, and the rules regarding which products attract which rates. Many businesses are forced to register for VAT. 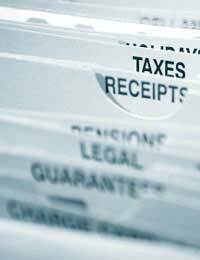 From 1st April 2012 if your turnover in the previous 12 months exceeds £77,000, you must register for VAT. This is a legal requirement. Similarly, if you take over a business and your combined turnovers exceed this figure, you must also register. If your turnover drops below £75,000, you can actually de-register from VAT. Finally, registration and de-registration threshold for relevant acquisitions for goods from other EU Member States is £77,000. It is also possible to voluntarily register for VAT. You may wish to read our article Should I Register My Business For VAT? more information. Some products and services will also be exempt from tax. It would be impossible to provide a comprehensive guide to the products and services that fall into each category. Most items will attract VAT at the standard rate, but there are significant and manifold exceptions to this. For example, most food and drink is zero-rated – but items like confectionary, alcoholic drinks and ice cream are all standard rated. As a business owner, it is your responsibility to find out the correct rate for each of your products and services. There is further guidance available on the HM Revenue & Customs (HMRC) website, including a very lengthy list of exempt items. As well as understanding how much VAT you must charge, you should also note the VAT that you are paying. This will have an important impact on your outgoings when you come to the end of each VAT period. 1. Energy and water supply industries. 2. Extraction of minerals and ores other than fuels; manufacture of metal, mineral products and chemicals. 3. Metal goods, engineering and vehicle industries. It is important that you factor in variations in rates if you are considering voluntary VAT registration, in order to ensure that you do not create unnecessary expense. The VAT schedule is exceptionally complex. If you are confused, and particularly if you are considering VAT registration for the first time, you should seek personal advice from an accountant.